'This important book is about the lifelong journey from 'What will people think?' to 'I am enough.' 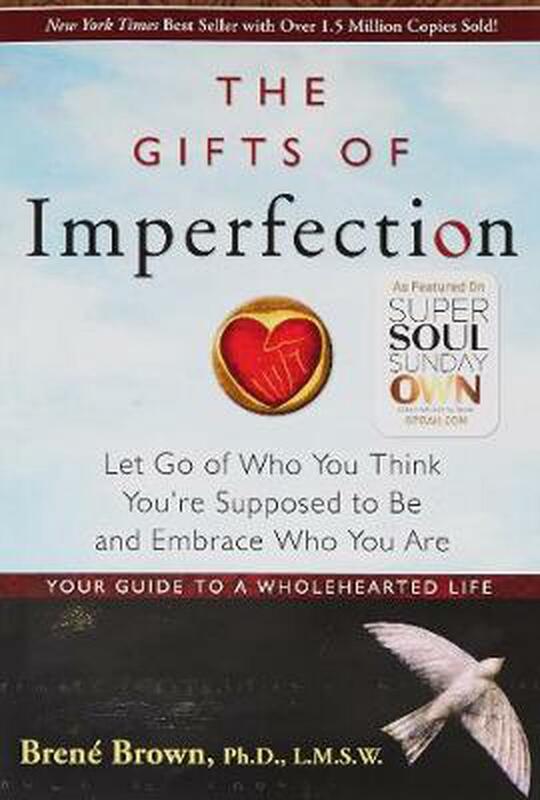 Brown's unique ability to blend original research with honest storytelling makes reading "The Gifts of Imperfection" like having a long, uplifting conversation with a very wise friend who offers compassion, wisdom, and great advice.' -Harriet Lerner, "New York"" Times" best-selling author of "The Dance of Anger "and "The Dance of Connection"
'Brene Brown courageously tackles the dark emotions that get in the way of leading a fuller life; read this book and let some of that courage rub off on you.' -Daniel H. Pink, "New York Times" best-selling author of "A Whole New Mind"
'Courage, compassion, and connection: Through Brene's research, observations, and guidance, these three little words can open the door to amazing change in your life.' -Ali Edwards, author of "Life Artist"
In "The Gifts of Imperfection, " Brene Brown, a leading expert on shame, authenticity, and belonging, shares ten guideposts on the power of Wholehearted living-a way of engaging with the world from a place of worthiness. Each day we face a barrage of images and messages from society and the media telling us who, what, and how we should be. We are led to believe that if we could only look perfect and lead perfect lives, we'd no longer feel inadequate. So most of us perform, please, and perfect, all the while thinking, "What if I can't keep all of these balls in the air? Why isn't everyone else working harder and living up to my expectations? What will people think if I fail or give up?" "When can I stop proving myself?" In "The Gifts of Imperfection," Brene Brown, Ph.D., a leading expert on shame, authenticity and belonging, shares what she's learned from a decade of research on the power of "Wholehearted Living" - a way of engaging with the world from a place of worthiness. Bren? Brown, Ph.D., L.M.S.W., is a writer and research professor at the University of Houston Graduate College of Social Work. A dynamic speaker, she frequently presents on the topic of shame resilience at conferences and public events. Visit her popular blog to learn more. An excellent book. Full of great information and encouragement for finding happiness and contentment.